We’ve had such incredibly beautiful weather this month with the fall colors hitting their peak and surprisingly balmy temperatures. 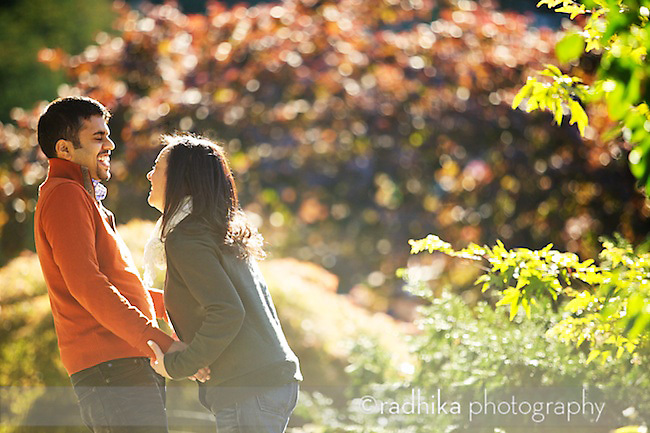 I’ve loved being able to spend much of the month photographing couples and families outdoors. The light in the fall is so different than the summer. With the shorter days we can have some incredible light midday filtering through the trees. Of course all that color is also fun to play with. 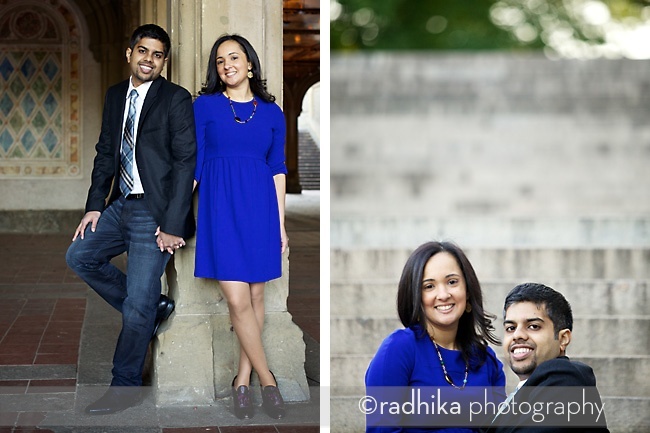 I thoroughly enjoyed getting to know Judith and Pradeep before photographing their wedding next April. I always tell couples that these sessions are not only fun, but a great way for us to get know each other and for them to become comfortable posing for photos. The aim, of course, is for it to not feel like posing. That’s where talking ahead of time about ideas and locations than have an appeal for each couple is really important. 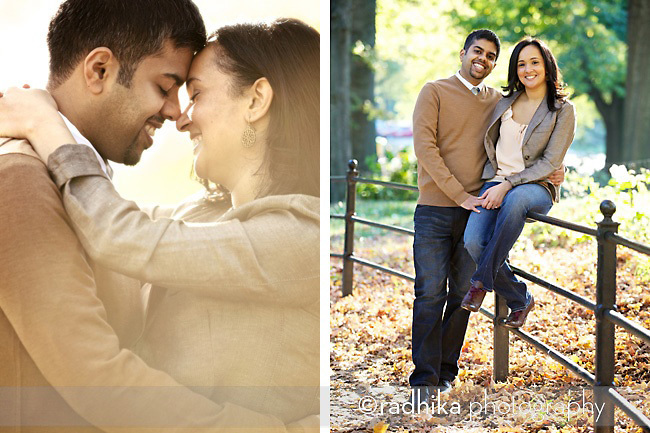 Both Judith and Pradeep love spending time in natural settings so Central Park with all it’s variety seemed a great choice. We even ran into Big Bird there. These pics are amazing! Both of you look really great, and I love how there are a variety of poses with different types of props. Congratulations to you both, you make a beutiful couple! These photo album says autumn in an amazing way. The natural colors along with the colors of their clothes and accessories play on the time of the year wonderfully. 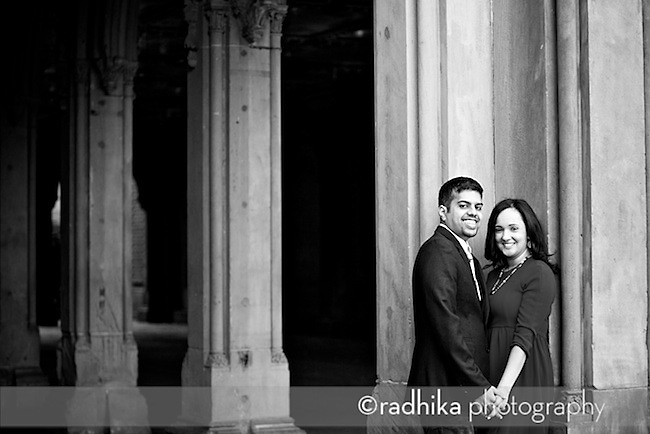 Looks like Judith and Pradeep had a fun time with all the big smiles!! Can’t wait to see what the wedding pictures will look like, especially when you capture the colors of spring! The photos of Judy and Pradeep made me smile. Colors, style and poses are so delightful. They look beautiful (and handsome…smile). In viewing the photos, I can not only see, but feel the love they have for each other…it warms my heart. 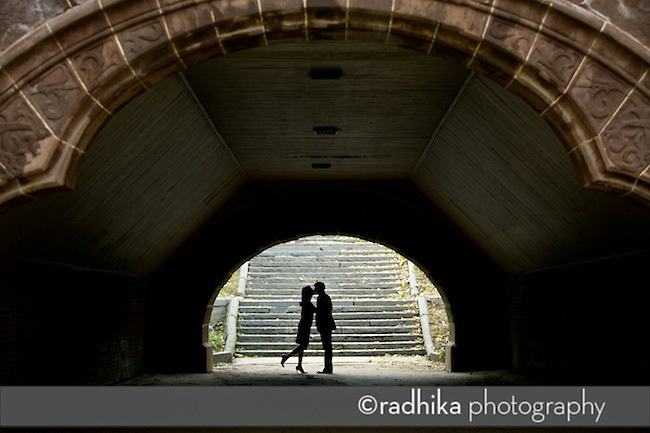 This is the first time I heard of “engagement photos”, and it thinks it’s a beautiful way to build their wedding album. My question; do you take individual or family photos in the park? 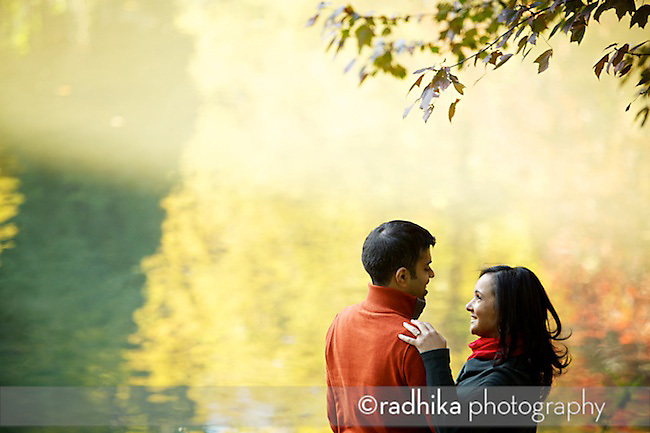 The dynamic scenery and vibrant colors are captured throughout all the pictures which compliment the couples’ true love. Congrats guys, hope your future is as beautiful and bright as these photographs. One the first picture it was nice to see them captured in a relaxed state. It’s as if they forgot they were being photographed , so it makes for a more intimate picture. Radhika you guys really know how to make colors stand out more vividly. 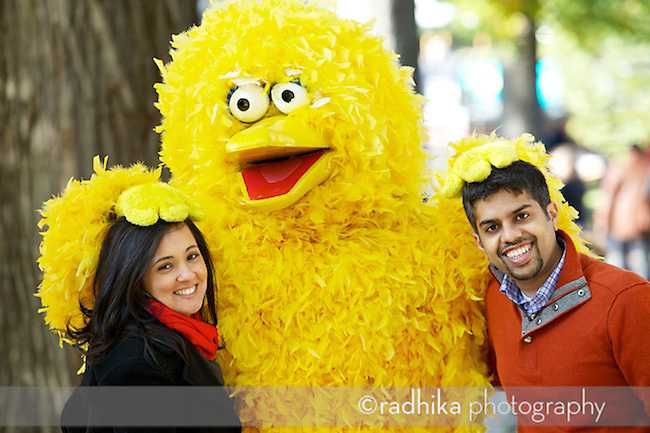 The two photos that especially come to mind are of Judith and Pradeep with big bird and of the lovely couple holding hands while standing against that pillar. Another two that I really did enjoy was of the pictures that just captured a shadow and of the long shot of them underneath the tunnel from afar. While you can’t see there physical faces, you still feel the love between them with the shadows and silhouettes. This is too cute! 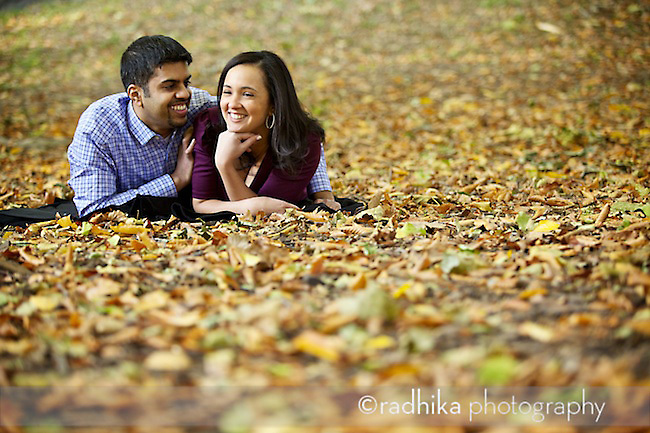 I love that you captured so much of Judith and Pradeep’s personality. They seem like they were really fun to photograph. Thanks for sharing! hello Radhika, The pictures you have taken from Judy and Pardeep are wonderfull. I like the fact that they aren’t statue fotos but fotos of the moment. Nice pictures and thanks for sharing. Congratulations and all the best wishes! Great Pictures. Photographer has done a good job. Nice pictures and I especially like the one with Big Bird. Congratulations and All The Best Wishes.